Crystal clean waters ideal for swimming, endless beaches, extreme sports, quiet beaches for romantic evenings with sunset view and of course fun. A lot of fun! Rodos has the privilege of many and organised beaches. 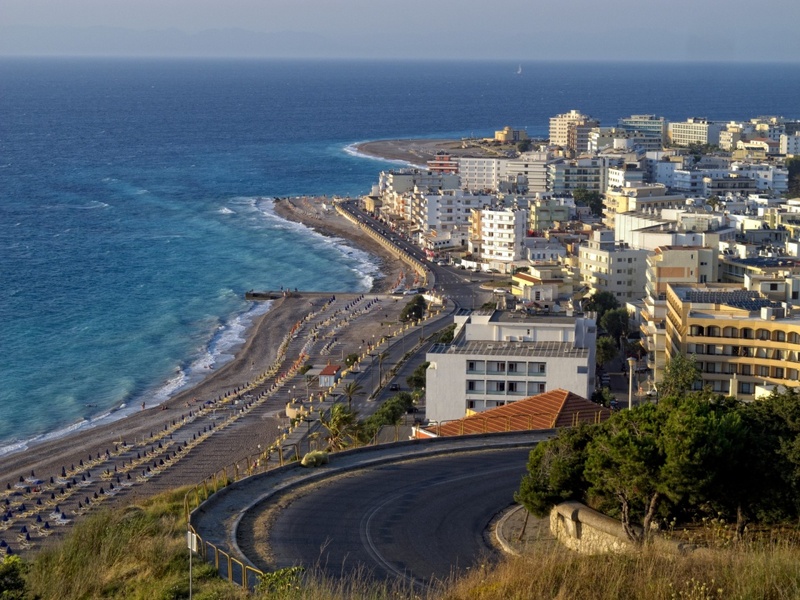 The most worthwhile to visit and popular beaches of Rodos are concentrated on the eastern coast of the island. The most peaceful beaches are the southern ones. The most known beach of the island is the beach in the Town of Rodos, one of the most popular on the island. Number two on the list is Ialisos. It is an organized beach with many hotels and sports facilities and a distinctively beautiful playground in the center of the beach and it is the paradise of windsurfing. Ixia is also offered for windsurfing. Faliraki is at a distance of 12 km away from the town, where the marine park 'Water Park' operates and at the southern tip of which, there is a nudist beach. Also there is Kallithea, a very cosmopolitan beach with rocks. Don't forget the beach of Anthony Quinn. Afandou with crystal clean waters, Kollimpia, which is an ideal beach for families as is Tsambika. Stegna, near the village of Archaggelos, which offers watersports, Saint Agathi, Kalathos, an endless beach of 4 km length, Xaraki, St. Paul, the Lindos beach, at a distance of 50 km away from Rodos Town, Pefki, a small beach with pine trees, Kistari, Saint George, a quiet but inaccessible beach, Gennadi, which combines sand and pebbles, the Prasonisi which is composed of two bays, combining calm sea with air (ideal for windsurfing), and Glyfada, pine-clad rocky beach at a distance of 72 km away from Rodos. 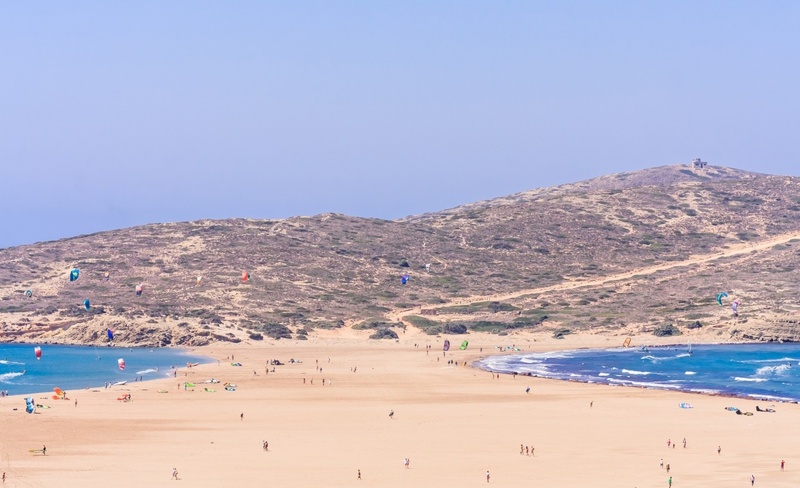 There is also Kiotari beach with vast sand and the most chic of all the water sports centers on the island, the famous Kiotari Water sport center. Vlixa beach is preferred by the local families with children because of the shallow waters. From Gennadi to Prassonisi, you can enjoy tropical deserted beaches with vegetation and cedar trees that reach the turquoise crystal waters.